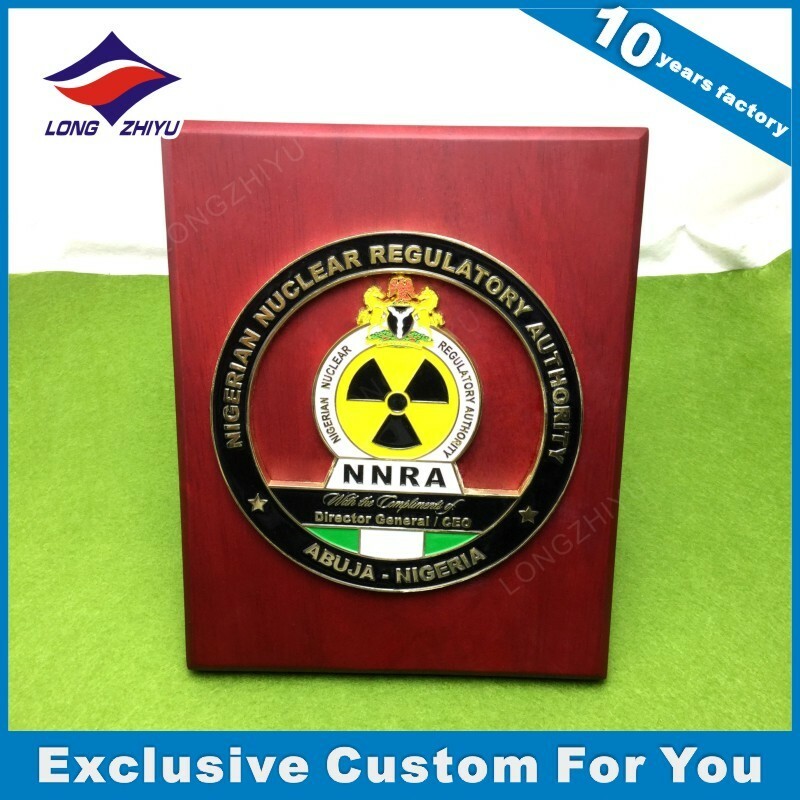 Product Description Metal material Zinc alloy, brass, aluminum, stainless steel and so on. More designs Packing & Delivery Packing 1. 1 pcs in an opp bag. 2. 5 pcs packed in a poly bag. 3. 15 pcs in an export carton. Delivery 1. Usually shipped by express(DHL, UPS, EMS, TNT, FedEx), by sea, by air. 2. You can arrange shippment, welcome for this. 3. When we shipped the goods, we will tell you the tracking number via email. 2. For mass production: 50% as deposit, balance before shippment. 3. 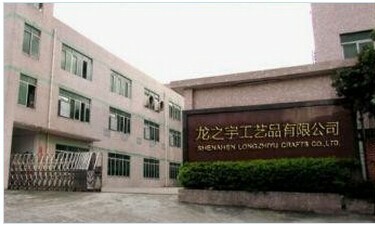 T/T, Western Union, Paypal Our Company Shenzhen Longzhiyu Crafts Co., Ltd, is a professional manufacturer of metal crafts. 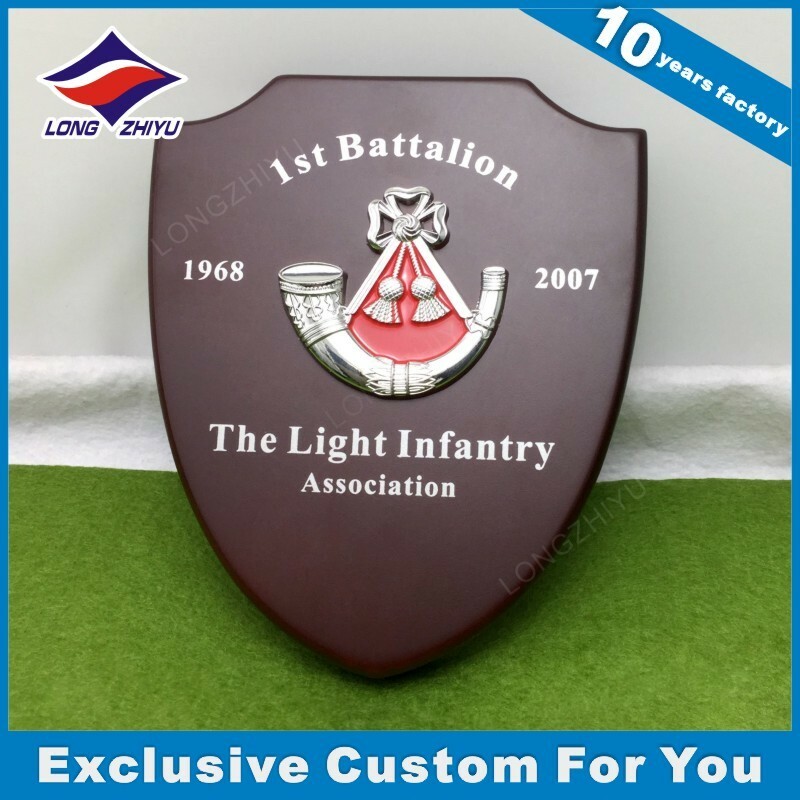 Our product range is medal, badge, commemorative coin, lapel pin, wood award plaque, dog tag, metal label and signs and so on. We aim at offer high quality metal crafts for customers, and try our best to serve clients. 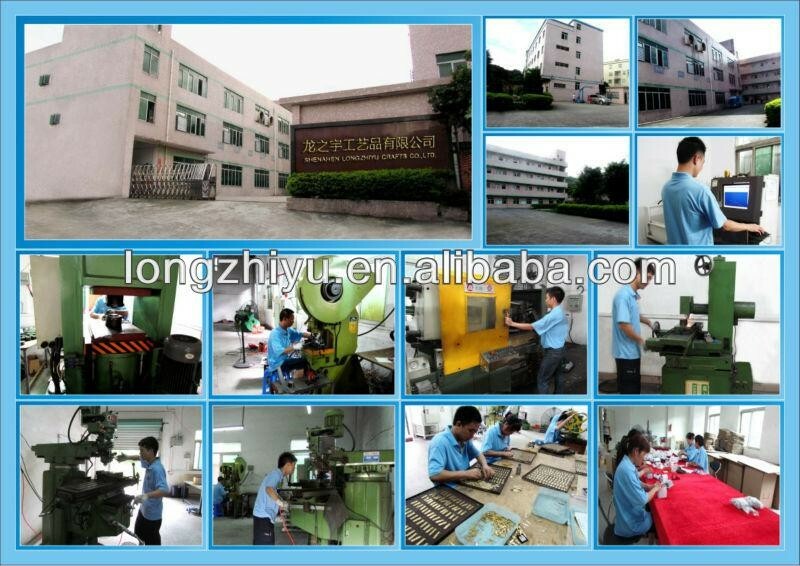 We have been in this line for over 10 years, our goods sell well in many countries. We have another website on Alibaba: As a golden supplier for 10 years, we earn great trust from business men of many countries and regions, such as USA, EU. We insist on the principle of development of 'High quality, Efficiency, Sincerity and Down-to-earth working approach' to provide you with excellent service of processing! FAQ Q: What's your main market? Q: How can I start an order? Q: Can I have a sample before mass production? Q: How long have you been in this line? Q: Is there any charge for artwork? A: We have professional designer team to draw artwork for free. O: What logo format you prefer to draw artwork? A: Vector logo in AI/CDR/PDF will be the best. JPG is also accaptable. All Trademarks and pictures relevant to this product shown here are offered for reference only. We do not have any intellectual property rights over the trademarks displayed and are not selling any products containing this(these) marks. 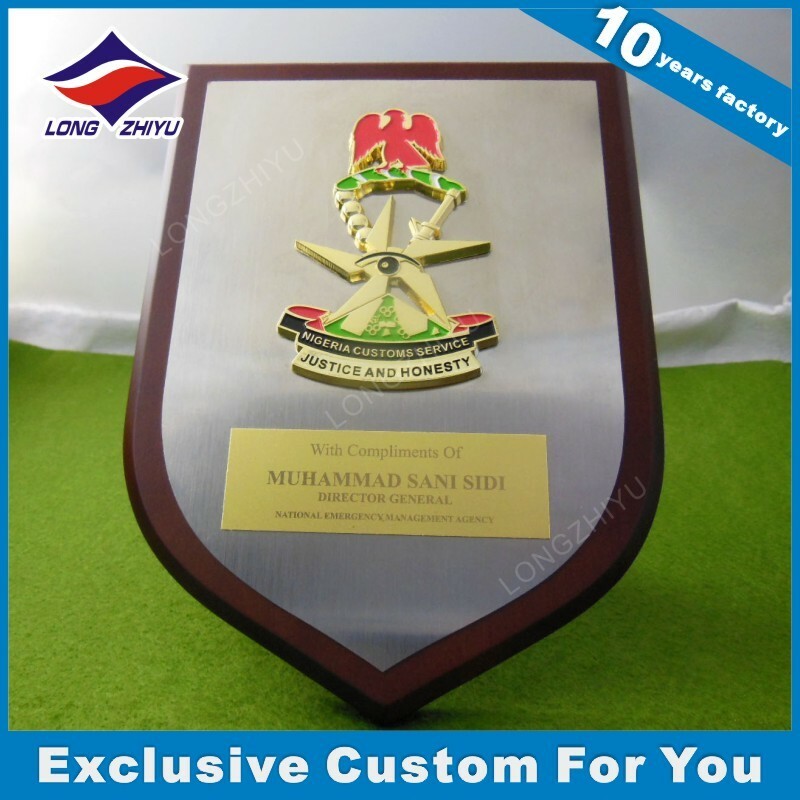 Contact us if you need more details on Shield Award Trophy. 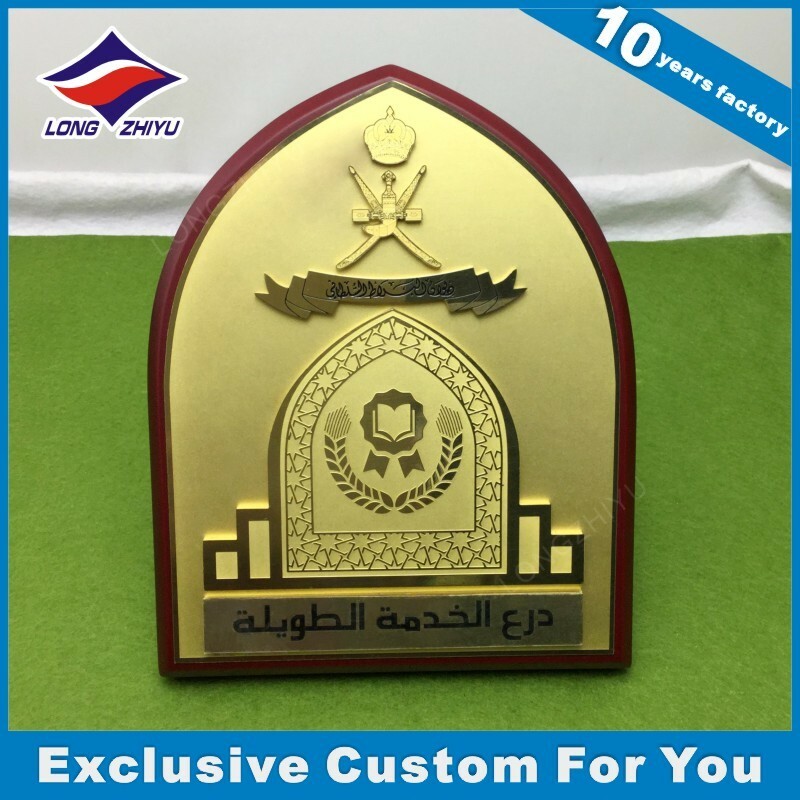 We are ready to answer your questions on packaging, logistics, certification or any other aspects about Wooden Shield Award Trophy、Metal Shield Award Trophy. If these products fail to match your need, please contact us and we would like to provide relevant information. Copyright © 2019 www.nbtsjd.com All rights reserved.